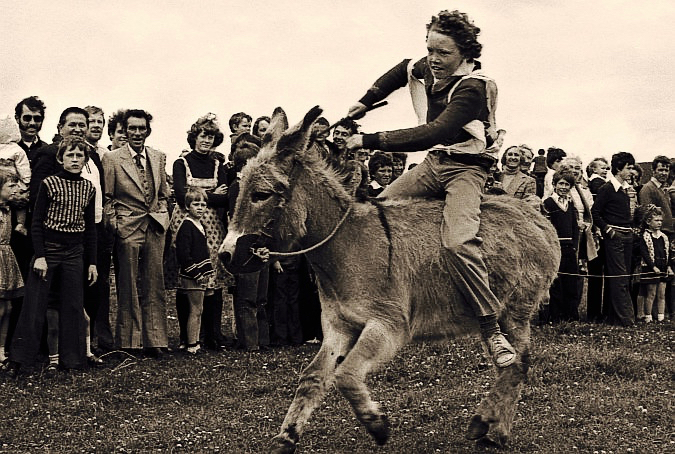 In the All-Ireland Name Stakes we’ve always known that Murphy is the front runner. In fact it’s the most popular surname, significantly outnumbering the next in line: Kelly. This was the case in 1890 – when the Registrar General of Births, Marriages and Deaths, Robert Matheson, compiled the first comprehensive analysis of names for the whole of Ireland. Then, there were 62,600 Murphys and 55,900 Kellys in a population of 4.7 million. More recently the phone network company Eircom published A Survey of Irish Surnames 1992-97 compiled by Sean J Murphy from telephone directory records in the Republic and Northern Ireland (making it comparable to the 1890 study): this showed 70,900 Murphys and 59,800 Kellys in a total population of 5.3 million. 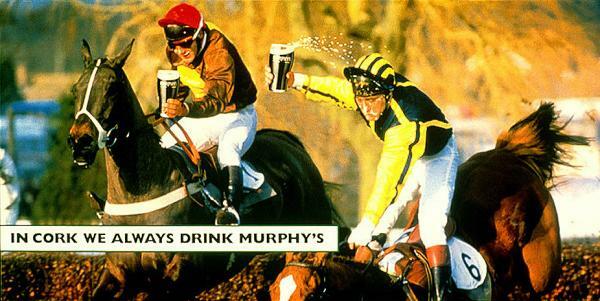 So Murphy wins – by a margin. Let’s have look at the name: Ó Murchadha (or in modern Irish Ó Murchú) means ‘sea warrior’ (Irish Medieval History gives Murchú as ‘hound of the sea’). Most of the Murphys are evidently here in County Cork, with Counties Wexford and Kilkenny next up. There are O’Murphys – mainly confined to Ulster, where the family were part of the tribe claiming descent from Eoghan, son of Niall of the Nine Hostages, who was responsible for kidnapping St Patrick and bringing him to Ireland. Otherwise the Murphys usually trace their ancestry back to Diarmait Mac Murchadha – King of Uí Cheinnsealaig and King of Laigin (Leinster) who lived in the twelfth century and was himself descended from the High King Brian Boru through his father’s grandmother. Diarmait Mac Murchadha was deprived of his titles by the then High King of Ireland, Ruaidrí Ua Conchobair, and asked the English King, Henry II, to help him retrieve them. In return, Mac Murchada pledged an oath of allegiance to Henry, who sent troops in support. As a further thanks for his reinstatement, Mac Murchada’s daughter Aoife was married to Richard de Clare, the second Earl of Pembroke, popularly known as ‘Strongbow‘. The result of all this was that the Normans came to Ireland – and stayed – and it’s all thanks to the Murphys! Two of my Murphy heroes are musicians: Denis Murphy (1912 – 1974) was a great fiddle player from the Sliabh Luachra area of Cork and Kerry. 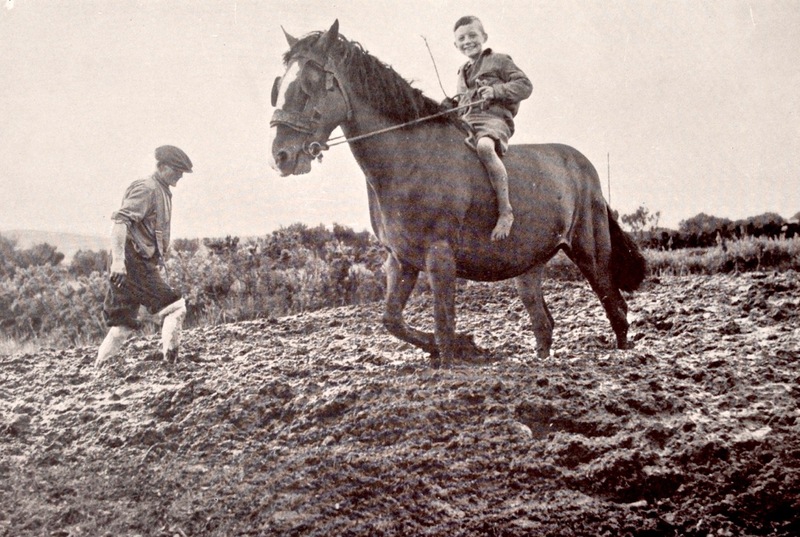 There were so many Murphy families in that area that Denis’s father Bill was always known as ‘Bill the Waiver’ because his people had been weavers of flax in olden times. I have Denis in my collection of Irish music cd’s but was never able to hear him playing live. I did meet my other hero, however, on my first visit to Ireland back in 1975. That’s Paddy Murphy (1913 – 1992), the renowned concertina player from Co Clare. I was privileged to be taken out to a private session in a remote townland somewhere north of Kilmihil. There, in a bar which seemed like someone’s front parlour, I heard Paddy play and talk of his family history and his very individual virtuoso style of playing an instrument which I have been trying to master for the last 50 years! 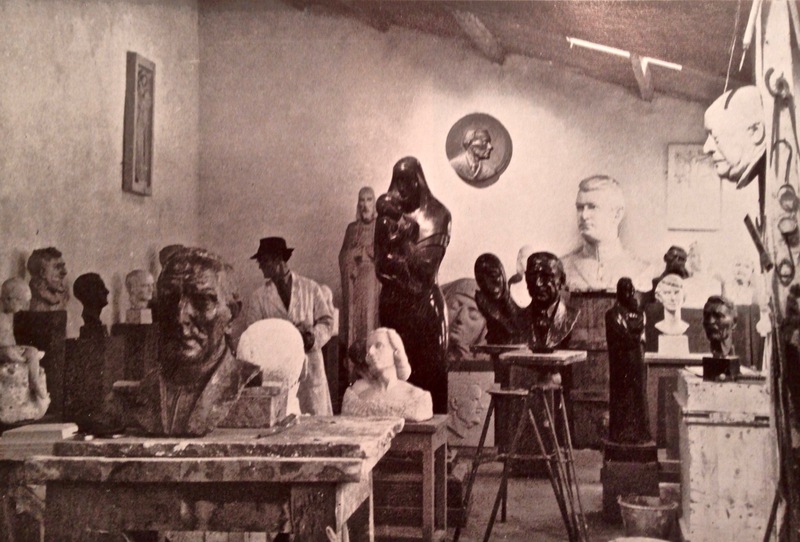 Next is someone we have met before, in our posts on Saint Gobnait and The Tailor and Ansty: that’s the sculptor Seamus Murphy (1907 – 1975). This Murphy, from Burnfort near Mallow, Co Cork, became Professor of Sculpture at the Royal Hibernian Academy. He is also known for his book, Stone Mad, which was published in 1950. The last Murphy that I want to mention (and there could be so many) is, perhaps, an unexpected one – she is Marie-Louise O’Murphy, who lived from 1737 to 1814. Although she was born and died in France she was of Irish extraction: her grandfather Daniel, a former army officer, had left his home in Cork for Rouen, where he worked as a master shoe-maker. When just in her teens, the physical features of young Mlle O’Murphy were spotted by Giacomo Casanova, who recommended her to King Louis XV. As a result she became the King’s Petite maîtresse – little mistress (or, rather, one of them) and bore him a daughter. However, the King’s favourite, Madame de Pompadour, decided that Marie-Louise’s presence in the royal household was too challenging and she was sent off to the country to marry a nobleman – and also received a handsome dowry for life. Marie-Louise O’Murphy (who was given the name of Marie-Louise Morphy de Boisfailly – possibly to raise her status in Versailles) is familiar to us as the artist’s model for François Boucher’s Resting Girl, painted in 1751. The canvas is now in the Wallraf Richartz Museum, Cologne. This entry was posted in Cork, County Clare, Irish Art, Irish Heroes, Irish History, Kerry, Medieval History, West Cork Blog and tagged Ó Murchadha, Ó Murchú, Boolavogue, Davy Spillane, Denis Murphy, Diarmait Mac Murchadha, Father John Murphy, François Boucher, François Boucher's Resting Girl, Kelly, Marie-Louise Morphy de Boisfailly, Marie-Louise O’Murphy, Murphy, Murphy's Irish Stout, O'Murphy, Paddy Murphy, Robert Matheson, Ruaidrí Ua Conchobair, Seamus Murphy, Sean J Murphy, Stone Mad, Strongbow, Tomás Ó Muircheartaigh, Wallraf Richartz Museum Cologne. Bookmark the permalink. You’re right, Roy – someone somewhere did a survey on it and there’s nowhere in the universe that doesn’t have a Murphy living in it! You made our week, Robert. Marie-Louise’s derrière brightens a rainy Vancouver December. Yes Alex – that’s quite a cheeky picture! Nice one but what about Tayto? Marie-Louise has the best name, and derriere!